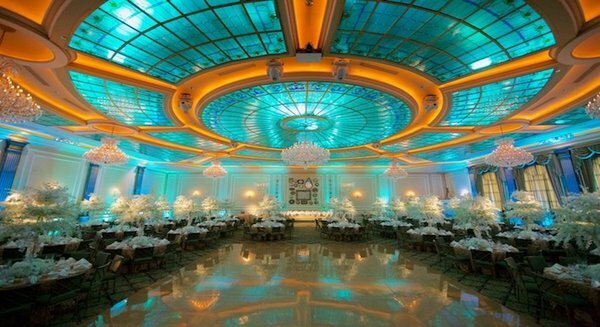 The archetype for all other modern wedding venues and banquet halls in Los Angeles, Taglyan Complex has developed into a venerable cornerstone in the LA community. From its star-studded corporate events and opulent wedding celebrations to the venue’s integral involvement in local charitable organizations, Taglyan Complex is unmatched in elegance, ambiance, and integrity. We have endless words of praise for Taglyan Cultural Complex and specifically, Abram. We were told we had “the wedding of the century” and truthfully, it was because of Taglyan! The atmosphere is elegant, and you have the ability to (cost effectively) customize your wedding from the 12 different color table cloths and chargers to the projection screen and colored ceiling. The opportunities to create your dream wedding are endless. Apart from the luxurious environment (garden, foyer and banquet hall), the food is something to rave about. Every single food item is delicious and presented in a 5 star manner. We also ordered the dessert table and that was an entertainment/focal piece in itself. The whole Taglyan team is a pleasure to work with and very professional. They don’t know the word “no” and they made sure that what we were envisioning, materialized. We would recommend them to anyone and would use them in the future for any events in the family.